The 2019 Mazda CX-9. Designed to impress in every way. Athletic, sophisticated exterior styling and improved interior with indulgent details like Nappa leather and Rosewood trim. Now with a 2.5L turbocharged engine to deliver more power yet improving fuel economy. Comfortable seating for seven. Built with safety in mind, and with the optional I-Activesense technology giving you advanced blind spot monitoring, smart brake support, rear cross traffic alert, lane departure warning, radar cruise control, and distance recognition support. With Mazda Connect you'll have all the connectivity imaginable. Mazda believes that if you need a larger SUV you need not give up a rewarding comfortable driving experience. 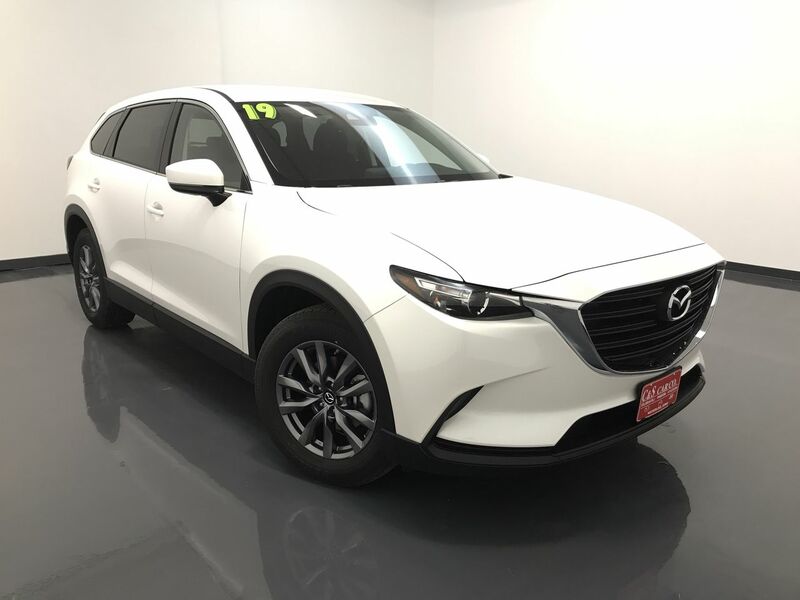 This 2019 Mazda CX-9 SPORT AWD has the optional illuminated door sill plates, and Snowflake White Pearlescent paint. Call C & S Mazda toll free at 866-212-8718 or locally at 319-291-7321.